Bernard Seward will be talking about IQ and water fluoridation while Simon Charter will be looking at water quality and showing us some experiments. 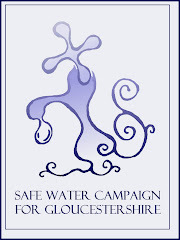 Open to all followed by the AGM of the Safe Water Campaign on Sat 17th May 1.15 in the British School, Painswick Inn, Stroud. Could Fluoride be linked to Obesity?